Our Logic Smoke SEC E-liquid is a throw-back to an old school cigarette brand that introduced filters to regular cigarettes. It is a mild tobacco flavor that will satisfy your need for good tobbaco flavor without having to smoke a cigarette. 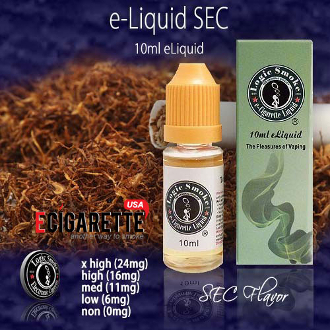 Pick up a bottle of SEC E-liquid from Logic Smoke today.